Communication is a vital and essential skill for every child. We aim to equip children with the necessary skills such as collaboration, listening and empathy from a young age. The whole school have taken the approach of 'Building Learning Power' by Professor Guy Claxton which has communication skills and the skills for life long learning at it's core. Please see BLP link below. The children are involved in becoming independent learners and a big part of this is being able to communicate effectively. Information and communication technology or ICT is one area that the children develop quickly in the infant years. 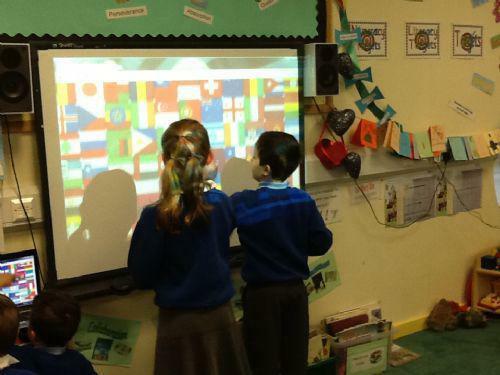 We have an exciting and varied approach to this to ensure that our learners are up to speed with current technology including the use of a High Definition Touch Screen Monitors or Smart Board and iPads in every year group. 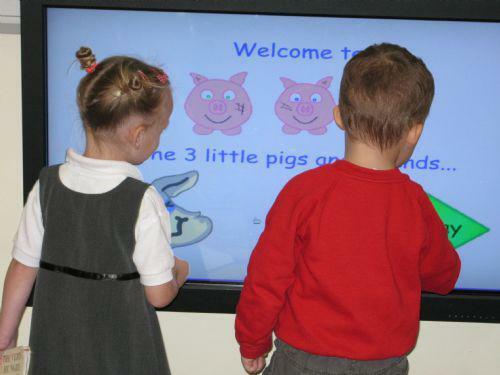 The youngest children in Nursery use a Smart Board screen and the rest of the classes are equipped with Touch Screen monitors to access technology during whole class and group work sessions. These are used across all of the curriculum areas as well as to teach specific computing skills. Each classroom has a mini computer suite with four to six computers, all of which are linked to a network and has access to the internet with high speed Broadband. These are used throughout every lesson and children complete tasks from research to word processing and even to create their own games using coding programs. 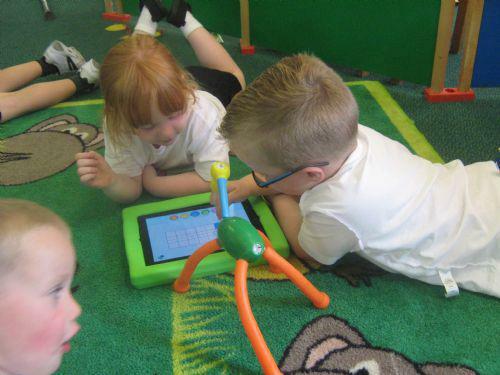 As well as access to a range of programmable toys such as Beebots and Probots each year group has six iPads which makes the children's interactive learning both portable and fun.